Looking for recreational opportunity? Oglebay Resort and Conference Center remains the nation’s model municipal park and continues to offer outstanding recreational opportunity to both residents and visitors. Its Festival of Lights attracts a million visitors annually. Its growing flower displays will soon surpass the Festival of Lights. Swimming, tennis, horseback riding, picnicking, hiking, skiing and fishing will augment your visits to the museums, shops, conference and special events centers, and outdoor summer entertainment series. Three professional golf courses designed by Robert Trent Jones and Arnold Palmer are in addition to the Crispin Center golf course and a par three course. In fact, the tri-state area is home to some of the finest courses in the world, including Pittsburgh’s Oakmont Country Club, home of the 2016 U.S. Open. Our paved trail system, which is the region’s largest, and our state’s largest urban system has 24 miles already constructed for walkers, joggers, cyclists and roller bladers. Additional miles are funded and in design stages. What about cultural, ethnic and religious diversity? The Wheeling area boasts one of the broadest ethnic, cultural and religiously diverse regions in the nation, with numerous descendants of, and current immigrants from, western Europe, Asia and Africa. Churches, temples, and cultural centers abound. Oglebay Institute is the nation’s oldest cultural and arts institution, with activities on three campuses ranging from visual and fine arts, performing arts and traveling exhibits. The Wheeling Symphony is a metropolitan class orchestra, with 35 performances annually. The OVations Youth Orchestra was one of two of our nation’s youth symphonies to participate in an international youth festival in Australia. 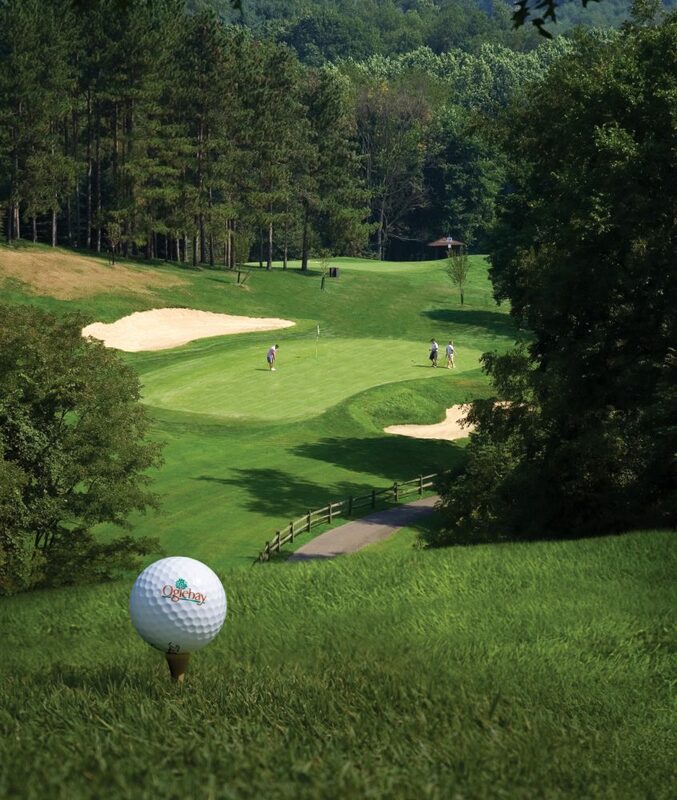 Oglebay Resort & Conference Center is home professional golf courses designed by Robert Trent Jones and Arnold Palmer. The City of Wheeling is proud to offer over 18 miles of paved walking/bicycle trails that run throughout the city. The Wheeling Heritage Trails are an important element adding to Wheeling’s vitality. The Wheeling National Heritage Area preserves and celebrates the city’s dramatic setting, resources and history, including its role as the birthplace of the State of West Virginia during the Civil War. A National Heritage Area is a part of our country’s landscape that has been recognized by the United States Congress for its unique contribution to the American experience. Please visit our partners at the West Virginia State Trails Program. There are plenty of places to get to from Wheeling and the surrounding areas. Columbus has a major zoo, museums and science center. Less than an hour away is the internationally renowned Pittsburgh Symphony, the Pittsburgh Ballet, Heinz Hall, and the Carnegie and Andy Warhol museums, as well as the Pittsburgh Zoo, water parks, and historic Kennywood amusement park.